Given Islam's violent history and the unfavorable contrast that its oppressive practices have against 21st century values, Muslim evangelists are hard-pressed to repackage their faith in the modern age. Apologists have come to rely on tricks involving semantics and half-truths. This propaganda is, in turn, repeated verbatim by other unsuspecting (yet sincere) Muslims and well-meaning progressives outside the faith. 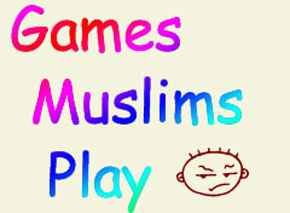 Here we try to expose some of these games, and help truth-seekers find their way through the maze of disingenuous and false claims about Islam and its history. "Verses of Violence are Taken Out of Context"
"Islam Must be True Because It is the World’s Fastest Growing Religion"
"The Quran can Only be Understood in Arabic"
"Terrorists Can't be Muslim Because They Kill Muslims"
"Suicide Bombings are Against Islam"
"It's a Phobia: More People are Killed by Bathtubs Than Terrorists"
"You Can Only Learn Islam from a Muslim"
"Under Sharia, Your Loans are Interest-Free!"